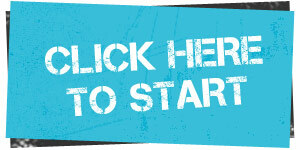 is a free, easy and fun online tool that finds your starting point for cycling and provides you with solutions. The power of this tool is that it quickly establishes your needs and barriers, and provides sensible guidance on what to do about them. Plus, it only takes 10 minutes! Users are guided through a series of questions, challenges, and self rating opportunities on aspects of cycling that are often perceived as barriers. These topics include bike handling skills, riding on the road, choosing safer routes, assessing your level of cycling awareness, equipment needs and road rules for cyclists. At the end of the questions, you get a Ride Support Plan instantly in an easy-to-read one page format. Your responses in BikeSTART will determine what information appears in your Ride Support Plan - a set of guidelines and supportive information to assist you getting over your particular barriers, on your bike and on your way! For example, if your responses indicate a need to find better cycling routes for commuting and perhaps improving awareness on the road then your Ride Support Plan will be making suggestions tailored to those aspects only. No complications, time efficient, empowering. Brilliant! You will also get an opportunity to book into some fantastic practical ride sessions with the experts at Bicycle SA. These sessions are held during weekend lunchtimes and on weekends. They're short and convenient, tailored to practical riding skills and street smart techniques so you can ride with confidence. If you don't yet have a bike and helmet, no problem - Bicycle SA will provide them. These courses are offered for free from supporting councils - so make sure you enter your postcode to find out if your council offers free courses. Every BikeSTART participant receives a Bicycle SA start-up kit including FREE Bike SA membership for a period of 3 months. This provides insurance cover and many other supportive benefits for recreational and commuter cyclists that are starting out. There is no obligation to continue beyond the support period - it's just there to support the early days of your riding endeavour. However, like 6000 other South Australians, you can choose to join the cycling community via annual membership if you wish. BikeSTART is developed by Bicycle SA, South Australia's peak member based not for profit recreational cycling organisation. Bicycle SAs mission is to get 'more South Australians cycling more often in safer, healthier communities'.